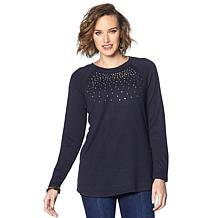 Soft brushed knit is the backdrop for a sprinkling of studs. 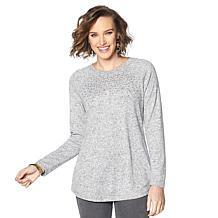 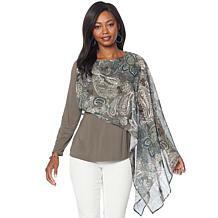 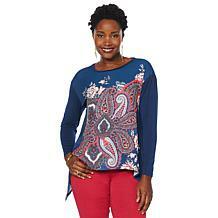 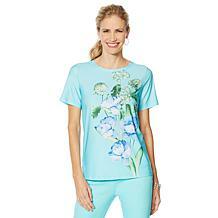 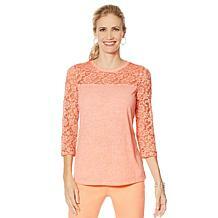 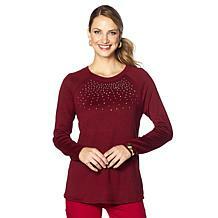 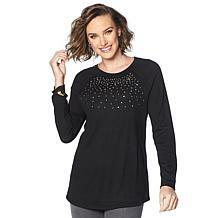 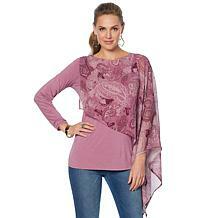 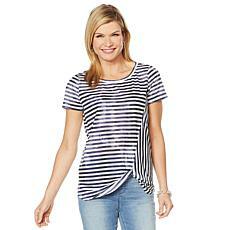 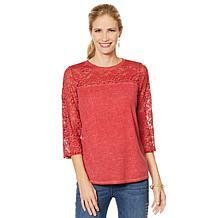 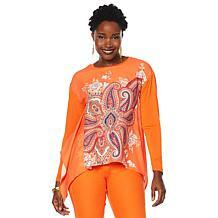 Bringing sparkle to your day-to-day, this comfortable pullover has a slight swing silhouette. 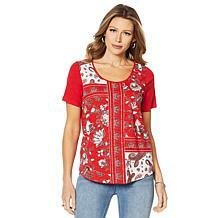 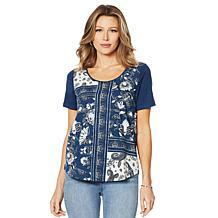 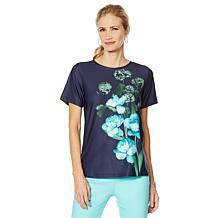 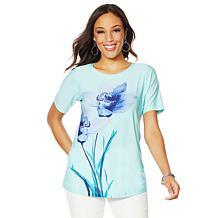 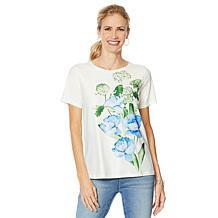 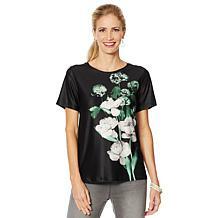 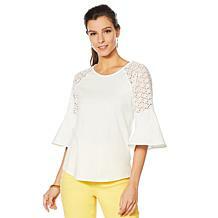 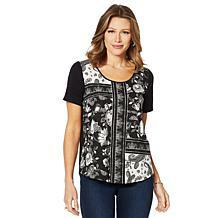 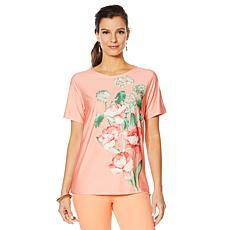 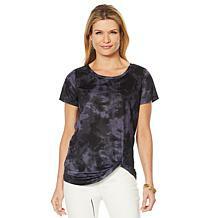 We're loving the contrast of this mixed-media top. 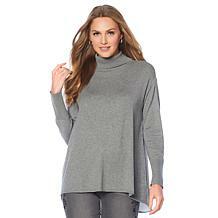 With a silky, shiny front and soft marled knit everywhere else, it's the perfect combination of comfort and class. 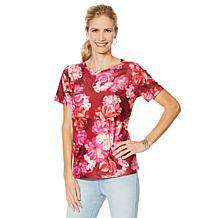 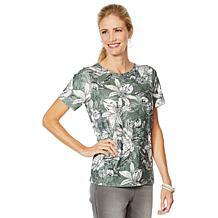 The way the solid panel tapers in, combined with the hi-low hem, makes for a flattering silhouette. 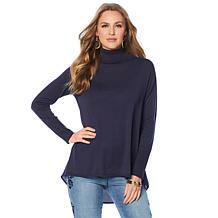 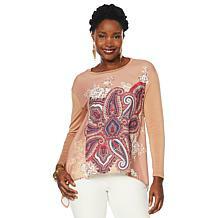 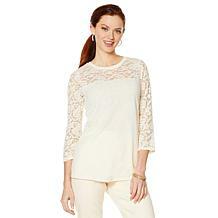 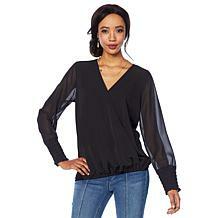 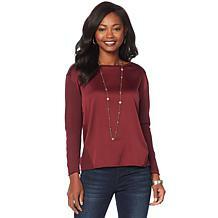 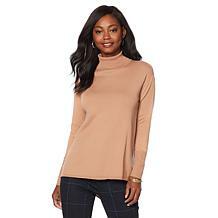 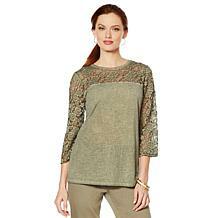 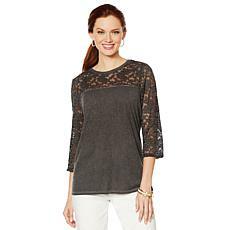 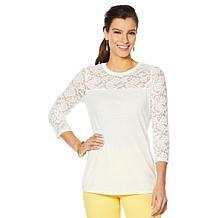 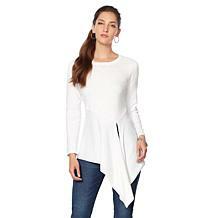 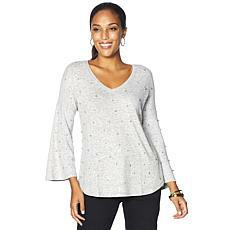 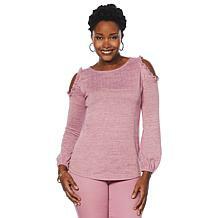 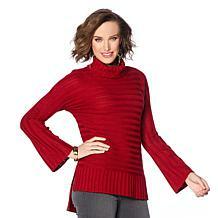 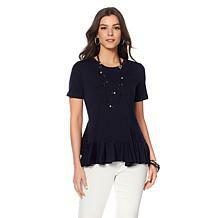 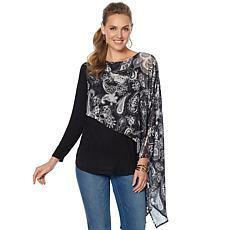 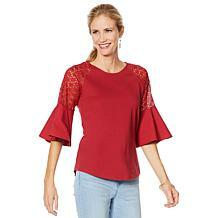 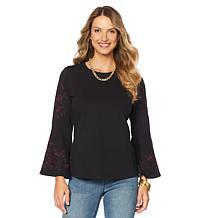 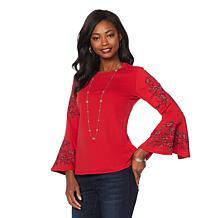 A generous fit, wide sleeves and faux pearls come together in a soft, brushed-knit pullover that's oh-so comfortable. 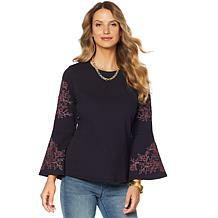 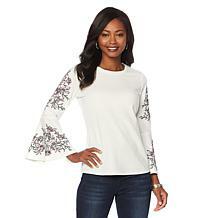 The art of contrast amplifies the design of 3/4-sleeve top, with acid-washed slub knit juxtaposed against pretty stretch lace. 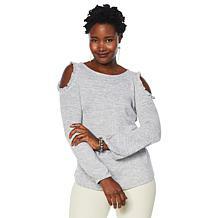 Not your basic tee, this slub-knit top stands out for it's two-sided style. 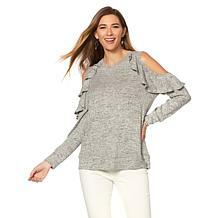 Print front, solid back, all-around awesome. 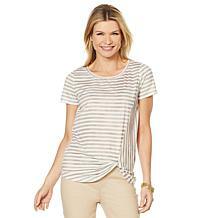 It's KNOT your everyday tee. 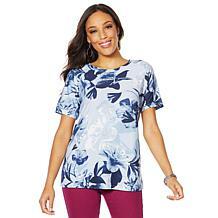 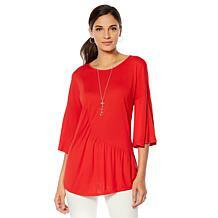 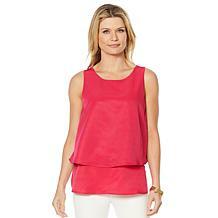 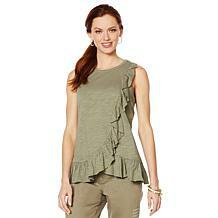 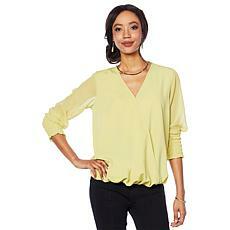 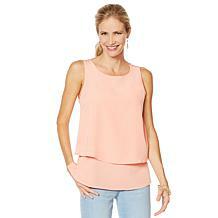 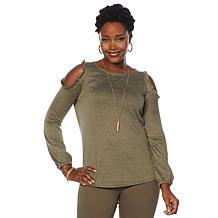 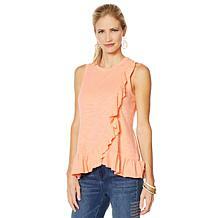 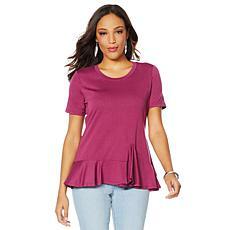 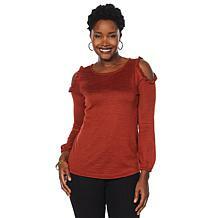 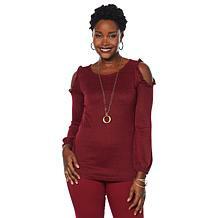 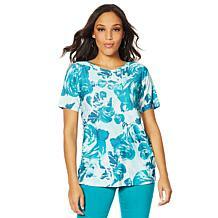 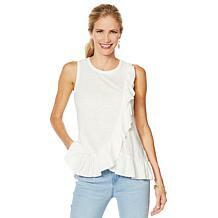 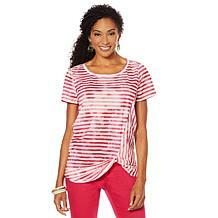 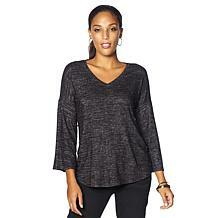 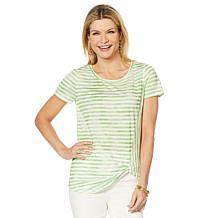 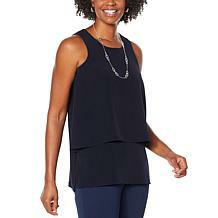 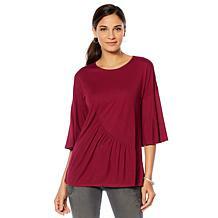 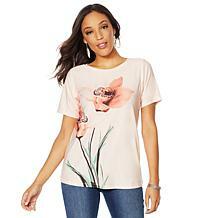 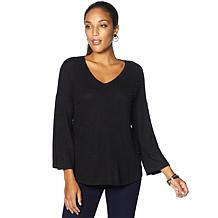 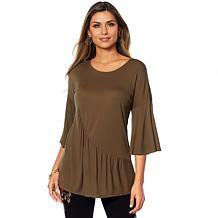 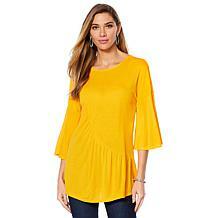 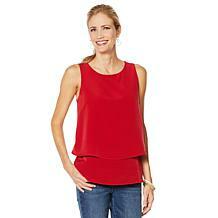 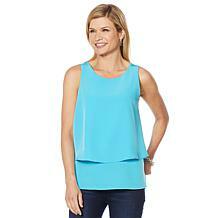 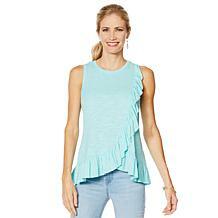 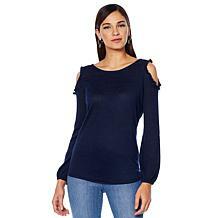 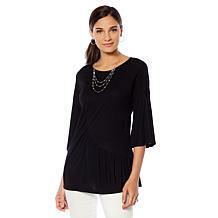 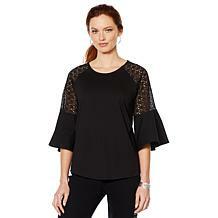 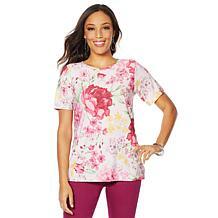 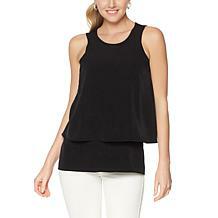 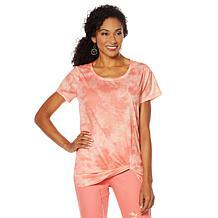 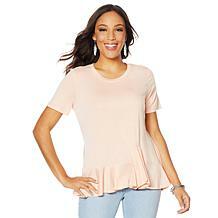 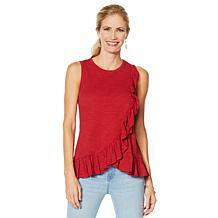 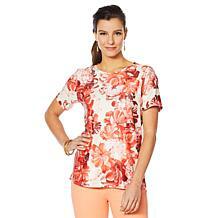 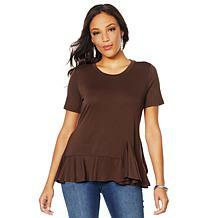 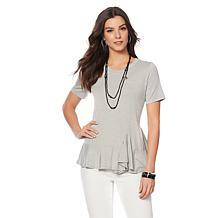 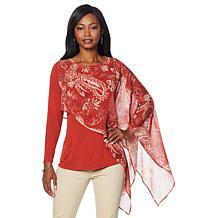 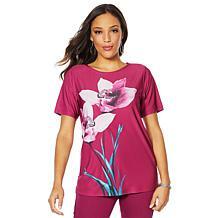 This soft jersey knit top features a knotted front hemline that adds figure-flattering style to your everyday bottoms.